The new year is just a few days away, and while most people focus on personal resolutions like losing a few pounds and waking up earlier, you, as a small business owner, must also set business resolutions. We asked five recognized small business experts to share their best advice on creating new year’s goals that will set you on track for a great year, and the following is what they generously shared. Barbara Weltmann, founder and owner of Big Ideas for Small Business, proposes becoming a better record keeper in the upcoming year. Keeping diligent records allows entrepreneurs to develop an accurate understanding of business success and even optimize tax results. “Use apps for tracking your vehicle mileage and your travel and entertainment costs—scan receipts and toss the paper,” Weltmann suggests. She also advises entrepreneurs to work with a tax expert over the course of the year for the best results. Holly Reisem Hanna, entrepreneur behind The Work at Home Woman, recommends refreshing your business plan for the new year. “The end of the year is a great time to take a look at what’s been successful, what needs improvement, what needs to be added, and what needs to be cut,” Hanna says. 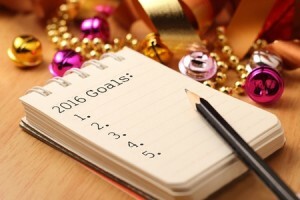 Even the busiest entrepreneur has the time to put together a one-page plan for the new year. Hanna suggests focusing on areas of marketing strategy, price structure, target audience, staffing/outsourcing needs, and improvements for your product or service. “Once you go through and address these areas, you’ll have a clear-cut plan that will give you direction throughout the year,” she assures.